Never worry about flushing your RODI systems membrane ever again! Membrane flushing is a maintenance task that commonly gets overlooked and forgotten about, but consistent flushing of your reverse osmosis membrane can dramatically improve its life and production rate. The Aquatec Auto Flush Flow Restrictor Kits include everything you need to incorporate automated membrane flushing on almost any RODI system. The system will be flushed when the unit turns on for a few seconds, and then for 15 to 20 seconds per every hour of use. 75 GPD Auto Flush Flow Kit - Compatible with 75 GPD membranes or 150 GPD Water Saver systems. Kit includes a 500ml/min Auto Flush Flow Restrictor. 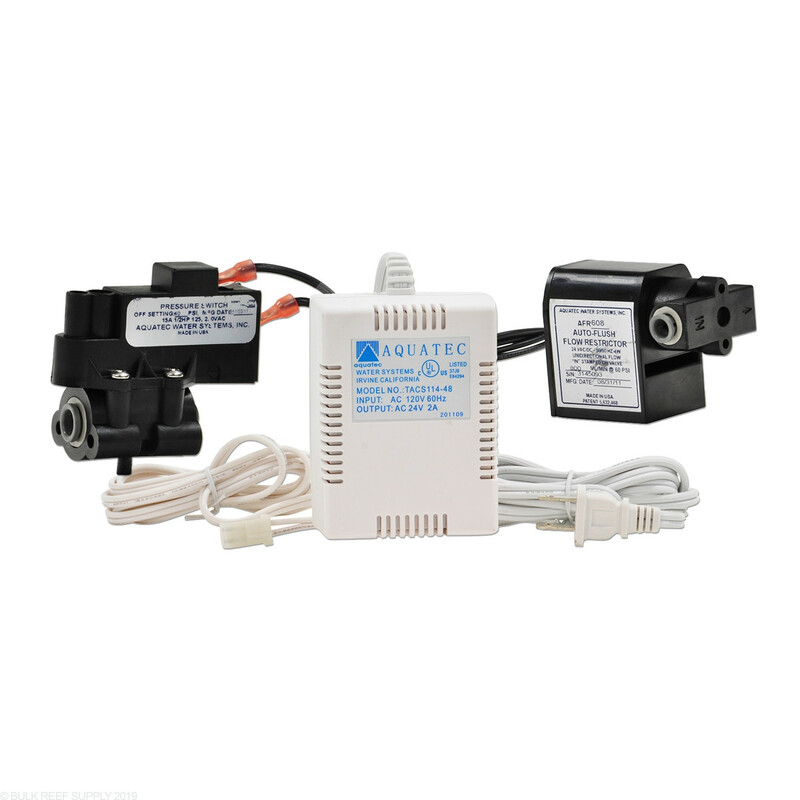 100 GPD Auto Flush Flow Kit - Compatible with 100 GPD membranes or 200 GPD Water Saver systems. Kit includes an 800ml/min Auto Flush Flow Restrictor. Requires working Auto Shut Off Valve to operate. 1. Turn off your source water supply. 2. Locate and replace the current flow restrictor with the new Auto Flush Flow Restrictor. On all BRS RODI systems and most others, the flow restrictor will be located behind the membrane and will be a long cylindrical shape. 3. Locate your product water line and place the pressure switch anywhere after the system's auto shut off valve (ASOV), we suggest placing it directly after the ASOV. 4. Connect the Pressure Switch Molex connectors into the Power Supply and also the auto flush flow restrictor. 5. Turn your source water supply on, and do a quick leak check. 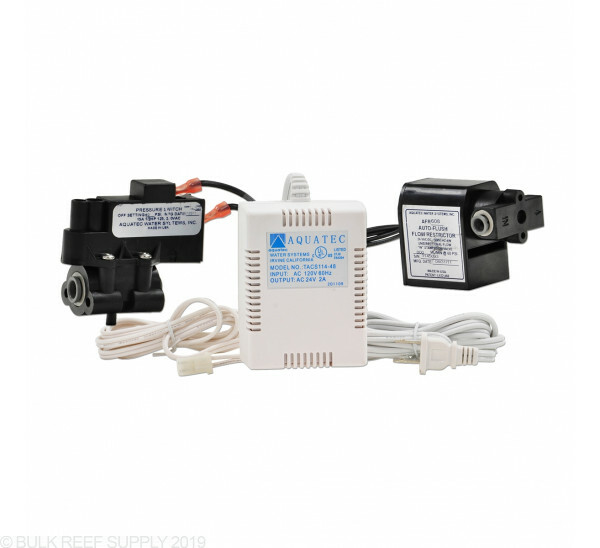 Once the leak check is complete, you can plug the Aquatec Power Supply into any wall outlet to energize the system.